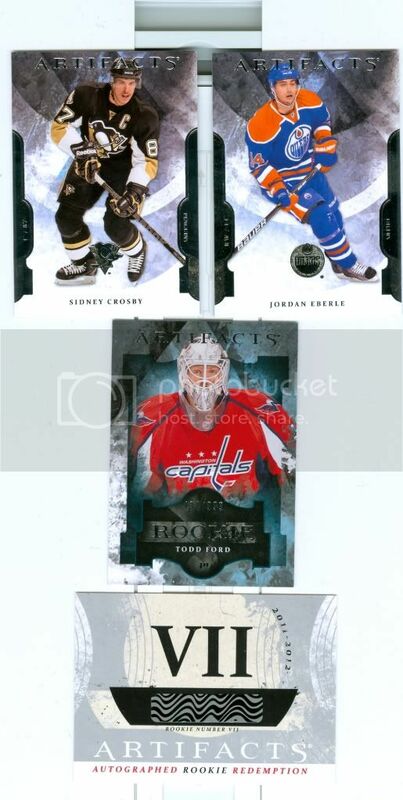 Beckett Message Boards - box of 11/12Certified,Artifacts, 08/09 UD series 1 + pack 08/09 trilogy HOT BOX! 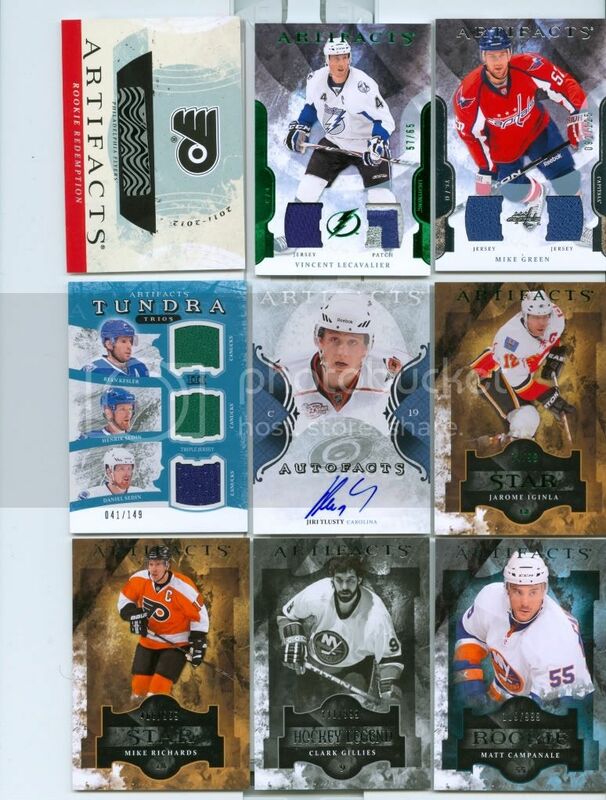 Beckett Message Boards > Hobby Talk > Hockey > Box Breaks > box of 11/12Certified,Artifacts, 08/09 UD series 1 + pack 08/09 trilogy HOT BOX! 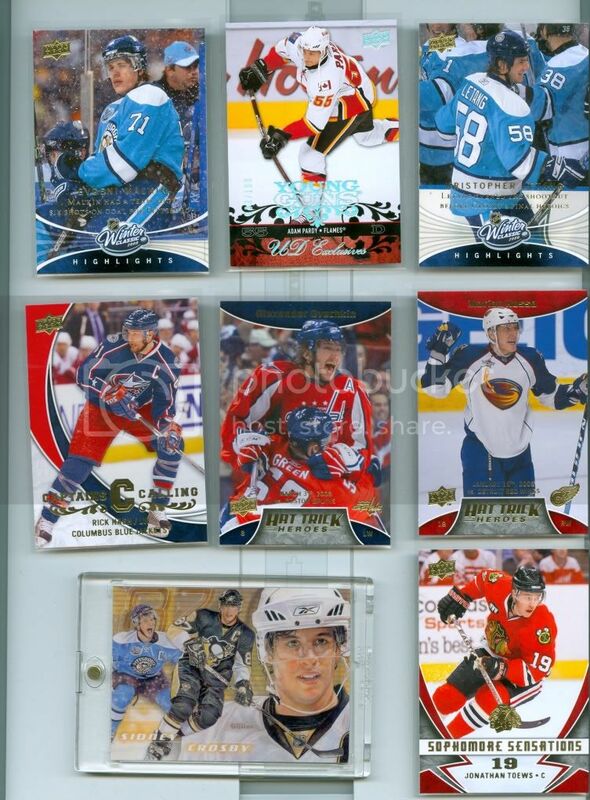 Full Version: box of 11/12Certified,Artifacts, 08/09 UD series 1 + pack 08/09 trilogy HOT BOX! A SECOND REDEMPTION Artifacts Rookie Autographs Redemptions #REDA7 Ryan Johansen EXCH i have never had 2 in a box before not the best players for my own collections but not bad players. 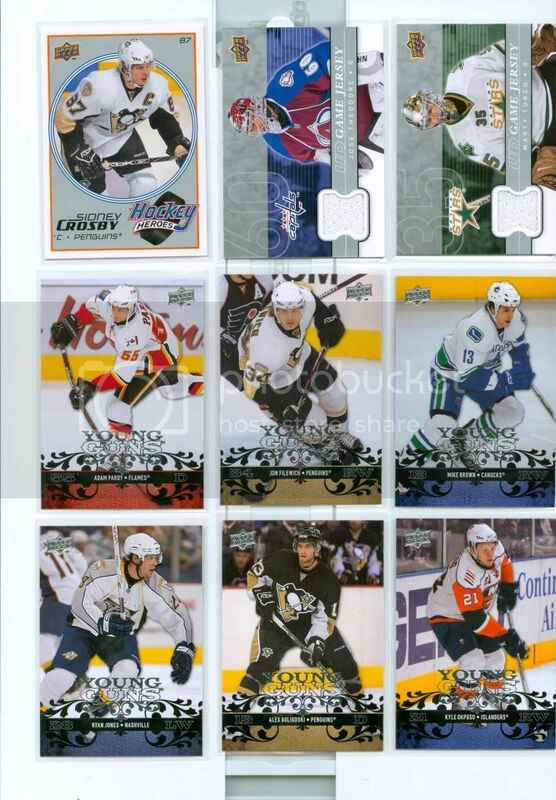 OH and LAST PACK RULE 2 PC base cards(Crosby, Eberle) a rookie i needed and a redemption were in the bottom pack! all in all im glad i stopped at my card shop for some boxes! Looks like you hit a platinum hot box! Nice Breaks! funny we didnt even notice that they were paralels until we added them to our existing set and had to look it up as to what we had. 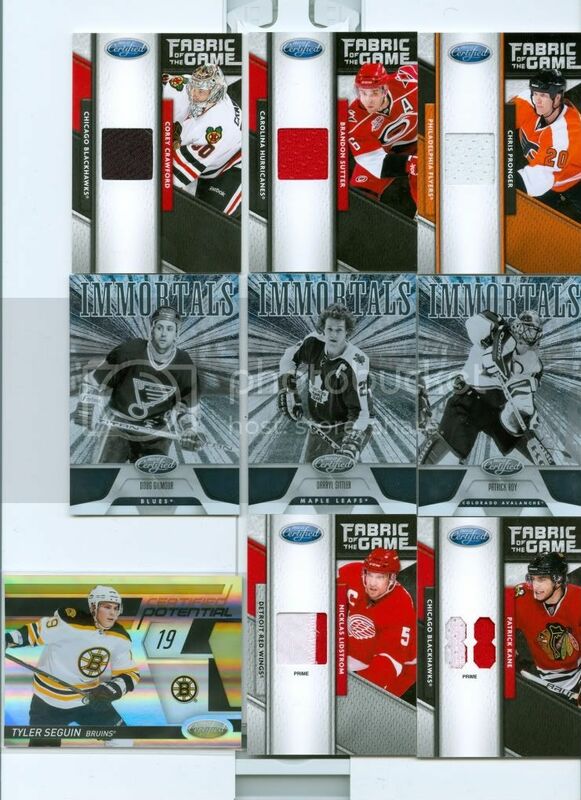 nice pulls, would be interested in the Patrick Kane prime jersey if its for trade, pm me or send me an offer please! Congrats on the hot box! interested in the Lidstrom Prime. Wow! Incredible boxes for sure! Congrats!